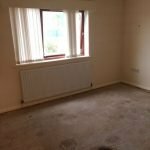 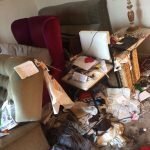 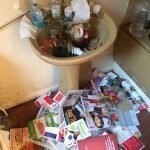 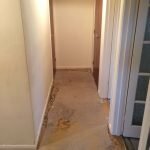 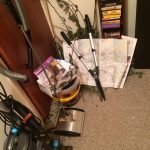 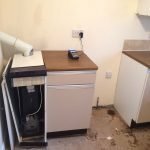 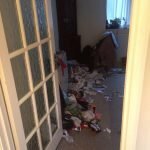 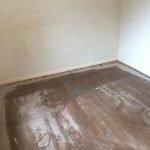 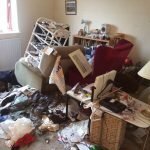 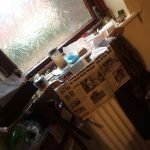 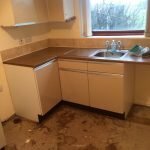 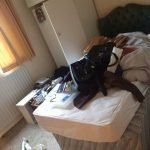 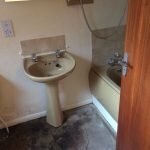 House Clearance Service In Hillside Birkhill-Muirhead Letham Ferryden Friockheim. 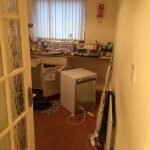 As well as clearing the usual furniture these small items will also need clearing – A brand new black Fellows paper shredder, A Festool PSC 420 EB 14v cordless pendulum jigsaw, A brand new grey Morphy Richards roll top bread bin, Next set of three festive spice fragranced votive candles, A set of four white Dolce Gusto espresso coffee cups and saucers, A Makita 18v twin set drill and combi hammer. 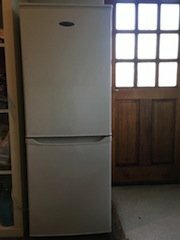 A tall standing white Swan two door fridge freezer. 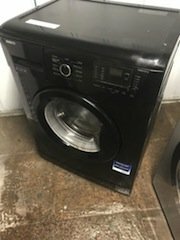 A black Beko 6kg 1200 spin under counter washing machine. 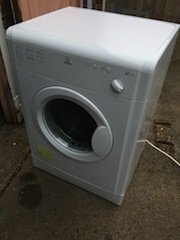 A white Indesit 6kg under counter condenser tumble dryer. 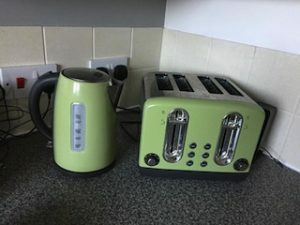 A green and stainless steel Asda four slice toaster, together with the matching kettle. 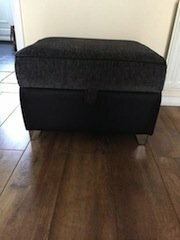 A small square storage footstool on mirrored legs, upholstered in black fabric. 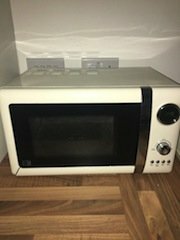 A cream retro style Swan 600w microwave oven. 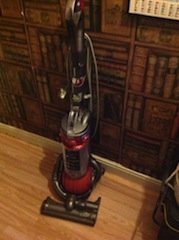 A red and grey Dyson DC25 ball upright bagless vacuum cleaner. 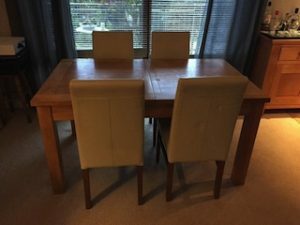 A modern John Lewis solid oak rectangular dining table, together with four high back dining chairs, upholstered in cream faux leather. 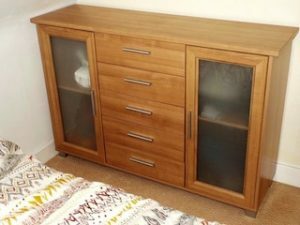 A modern John Lewis light oak and frosted glass sideboard, having a single cupboard to either side of five central drawers, with chrome rectangular handles. 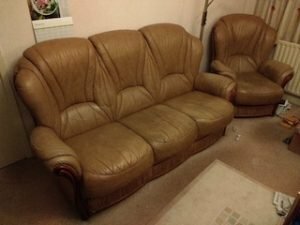 A three seater high back sofa and matching armchair, both on a solid oak base and upholstered with faux leather. 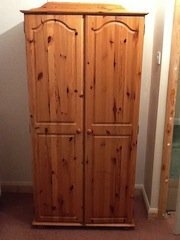 A tall standing solid pine three door triple wardrobe, having three drawers and shelving inside. 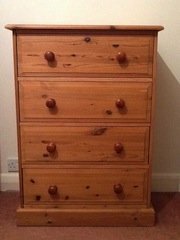 A tall standing solid pine bedroom chest of drawers. 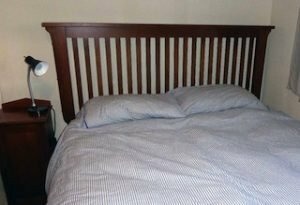 A white John Lewis solid oak double bed frame, together with a john Lewis striped patterned double mattress. 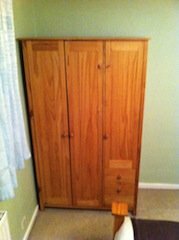 A next solid oak kingsize bed frame and mattress, together with a mahogany bedside unit. 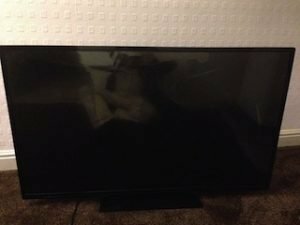 A black Samsung 49 inch flat screen smart television.